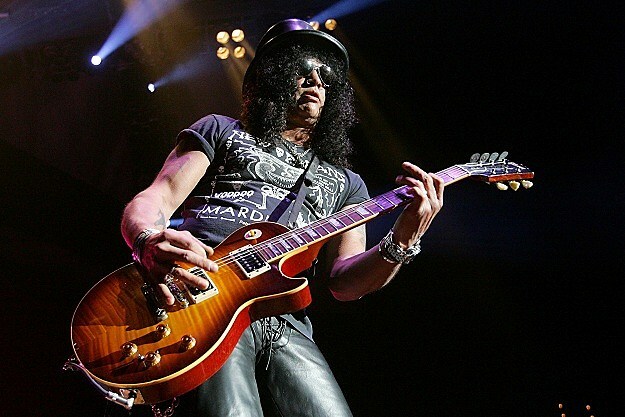 Check Out Slash’s New Solo Album Online! All 21 songs from Slash‘s upcoming live double-disc solo album, ‘Made in Stoke 24/7/11,’ Are now streaming online. His new album is slated to be released in April of 2012 (fingers crossed!). The album is going to include 7 GnR classics (‘Night Train,’ ‘Rocket Queen,’ ‘Civil War,’ ‘Patience’ and ‘Paradise City,’ ‘Mr. Brownstone,’ ‘Sweet Child O’ Mine’) As well as a few Velvet Revolver songs. Loudwire has all the info on the new album, here! You can stream all 21 songs online thanks to Rolling Stone, by clicking this!